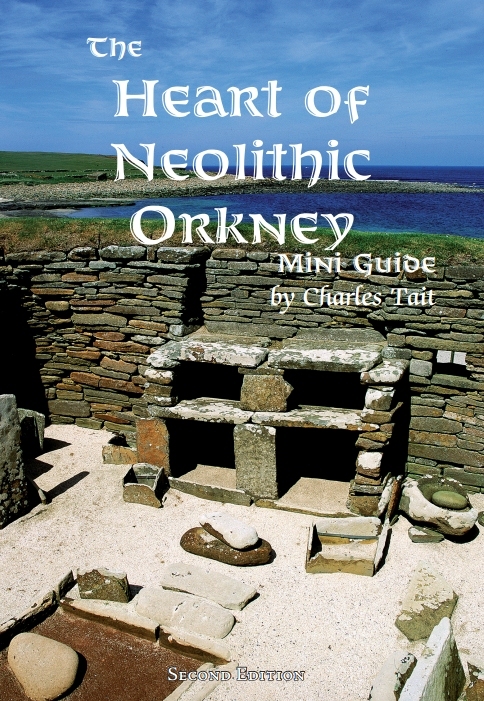 The Orkney Neolithic MiniGuide covers the "Heart of Neolithic Orkney" and other Neolithic sites throughout Orkney. These include Skara Brae, Maeshowe, Ring of Brodgar, Ness of Brodgar, Standing Stones of Stenness, Barnhouse Village, Unstan Cairn and Bookan. Many other sites throughout the Mainland, North Isles and Hoy are included along qith suggested itineraries.. This 96 page book is a handy pocket size (110x160mm) It is illustrated with over 250 of Charles Tait's images as well as OS maps and some old prints.